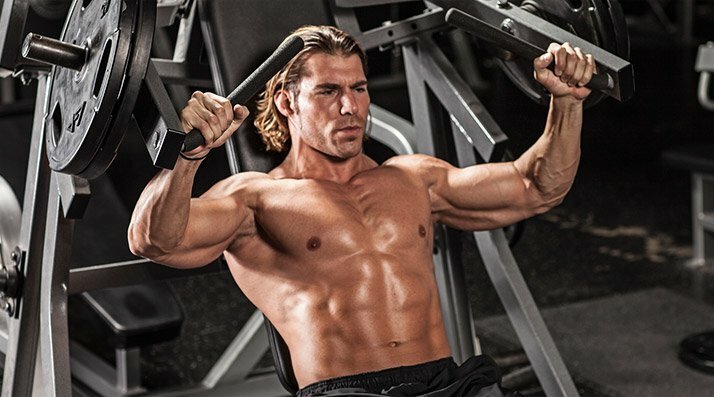 Build Your Best Chest With This Rest-Pause Workout! Ready to double your size and strength gains on chest day? This rest-pause chest workout will help you do more work—and get better results—without spending any more time in the gym! An ordinary chest workout typically includes a variety of bench presses and flyes from various angles—and it delivers fairly ordinary results. For extraordinary gains, you've got to up your game. In bodybuilding or powerlifting, that means not just working harder, but being smarter and more creative with your training as well. Enter rest-pause. This training technique has been around for a while, but I'll show you how to apply it to a chest workout that'll deliver anything-but-ordinary results. In fact, this chest workout is a hybrid that delivers both size and strength. It fits what I call "power building." You'll have to step outside your comfort zone and abandon the straight-up "3 sets of 10 reps" mentality. This set-extending method you're about to try simultaneously increases the intensity and density of a workout, making it a surefire way to ignite gains in size and strength. Rest-pause training breaks down one set into several minisets with a very brief rest between each. The short intra-set pauses allow enough time for ATP, a cellular currency for fast energy, to be quickly resynthesized. This permits further reps above and beyond what you'd normally be able to handle with a heavy weight. Because rest-pause allows you to accomplish more work with a heavy weight, you'll synergistically build more size and strength without lengthening your training session. The method takes advantage of your muscles' ability to recover rapidly, and the short breaks give your working muscles a second wind of sorts, allowing you to do more reps with greater force. The overall greater muscular overload catalyzes greater gains in size and strength. Depending on your training objectives, several different rep and set schemes may be used with rest-pause. You can manipulate the load, or percent of your one-rep max (1RM), as well as the number of reps you do and the number of segments that comprise each set. The length of the short rest period can be adjusted, as well. Because rest-pause allows you to accomplish more work with a heavy weight, you'll synergistically build more size and strength without lengthening your training session. For our purposes, do rest-pause only on the last set of each exercise after two normal sets. The rest-pause protocol will consist of lifting the prescribed load for as many reps as possible, taking a rest interval of 15-20 seconds, and doing the same weight again for as many reps as possible. Obviously, you won't be able to press as many reps on the second round. Repeat this process again for three more subsets, which comprise one set. *Some people may be able to do more than 8, some fewer. Regardless, do as many good reps as you can, just short of muscle failure. Ultimately the subsets include 14 reps with a weight you should be able to do for only 9-10. That’s 50 percent more volume on this set alone with a very heavy weight! Practitioners of rest-pause—from six-time Mr. Olympia Dorian Yates to powerlifting pioneer Big Jim Williams—were well ahead of the researchers, but labs have also validated the effectiveness of rest-pause. In one study published in the Journal of Science & Medicine of Sport, 14 subjects performed three different resistance-training protocols involving 20 repetitions in the squat with 80 percent of their current one-rep max (which, by the way, is also the weight you can do 7-8 reps to failure with). The first training protocol in the study consisted of 5 sets of 4 reps with three-minute rest intervals; the second program consisted of 5 sets of 4 reps with 20-second rest intervals; and the rest-pause method consisted of an initial set to failure, then subsequent sets were completed after a 20-second rest interval. Stop one rep shy of muscle failure when completing your subsets, which will ultimately enable you to complete more total work over the entire set and ensure exercise technique isn't compromised. If the last rep of a set of the bench press was an all-out grinder, you'll perform poorly on subsequent sets, handicapping total rep count. Restrict rest intervals to 20 seconds tops between work segments. Choose exercises that are easy to get into the starting position. Barbell and machine movements are usually better choices than heavy dumbbells. 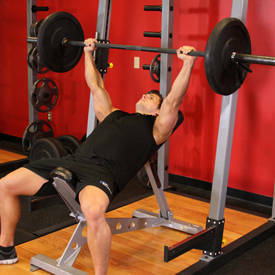 You wouldn't want to be doing seated overhead dumbbell presses, for example, with rest-pause. Keep records of your rep counts. Rest-pause is the ultimate form of density training—doing more work in the same amount of time—so you'll want to notate your progress. Each rest-pause set consists of three subsets. Reduce the overall volume of your workout to account for the increase in intensity and three subsets that comprise each working set. Perform rest-pause training for 3-4 weeks, then deload or take a break from it. Most often, it's done for just one set per exercise and up to three exercises per training session. This is an extreme intensity technique, so a spotter is required! 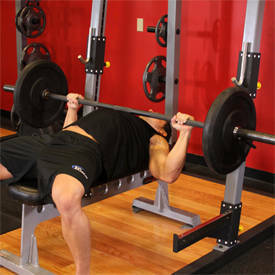 Bench press: Choose a weight that equals your 6-8RM. Do two sets of 5 straight sets, then rest-pause on your last set with 3 subsets. Rest 2-3 minutes after your first two sets, but just 20 seconds between the subsets. 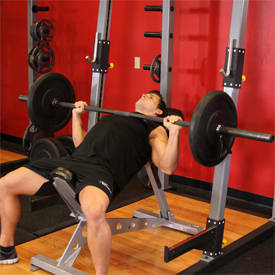 Incline bench press: Choose a weight that equals your 8-10RM. Do two sets of 7 straight sets, then rest-pause on your last set with 3 subsets. Rest 2-3 minutes after your first 2 sets, but just 20 seconds between the subsets. 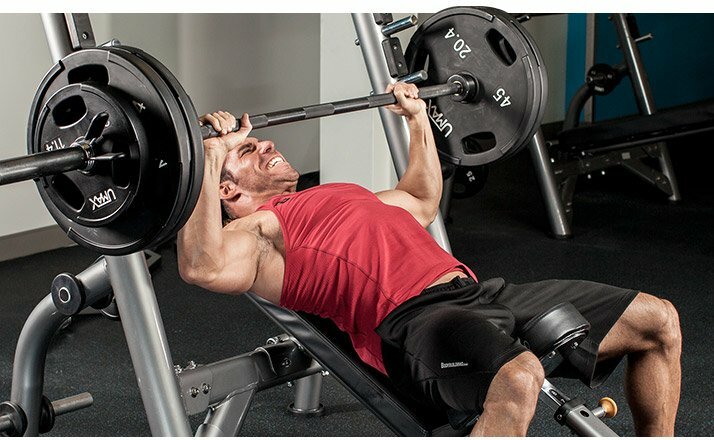 Machine bench press: Choose a weight that equals your 12RM. Do two sets of 10 straight sets, then rest-pause on your last set with 3 subsets. Rest 90 seconds after your first 2 sets, but just 20 seconds between the subsets. Cable cross-over: Choose a weight that equals your 15RM. Do two sets of 12 straight sets, then rest-pause on your last set with 3 subsets. Rest 60 seconds after your first 2 sets, but just 20 seconds between the subsets. Marshall, P., Robbins, D., Wrightson, A., & Siegler, J. (2012). Acute Neuromuscular And Fatigue Responses To The Rest-pause Method. Journal of Science and Medicine in Sport, 15(2), 153-158.